We believe that intentional faith development is best done in community. Group learning and discussion encourages and challenges us in ways that we cannot experience individually. Pleasant Street offers a variety of educational and spiritual formation opportunities. We strive to be a safe place to explore, question, and grow in the love and knowledge of God and each other. Currently Studying. Click for more information. Each Wednesday at 6 PM we meet in the parlor on the second floor for adult study. Subject matter ranges from Bible study to contemporary topics to studies related to the seasons of Lent and Advent. 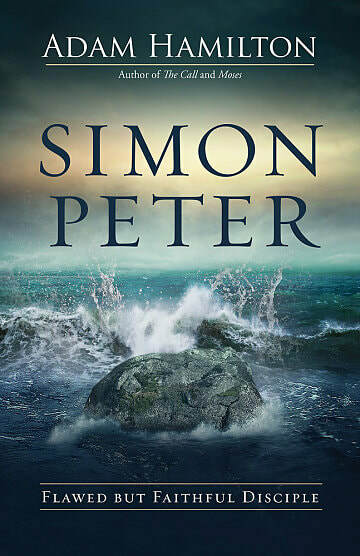 On Wednesday, April 3 we will begin our next book "Simon Peter" by Adam Hamilton. Books will be available from the church office. ​Come to as many classes as you wish. Please call the church office at 872-7564 for additional information. The book group meets in the library each Saturday from 9 - 11 AM. Discussion is based on a wide variety of contemporary topics and authors. 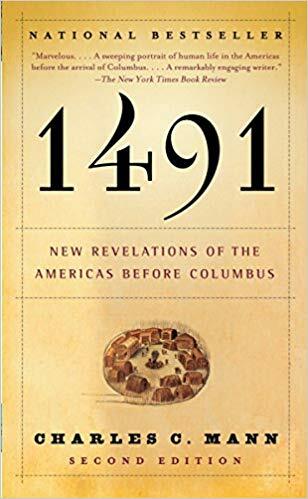 We will be starting the book: "1491: New Revelations of the Americas before Columbus" by Charles Mann on Saturday, April 27, 2019. Please consider joining us. Newcomers are welcome. For additional information, please contact Sandy Kostron at 968-2254 or rskostron@fairpoint.net. If you would like to do some studying on your own (or would simply like a book to read for pleasure) we have a fine selection of books, audiobooks, magazines, and videos to loan. There are Christian classics and new releases, Bible commentaries and theology books, fiction and devotional reading, books on spiritual formation and books about justice issues, books on church history and books on the emerging church - and just about everything in-between. The library is located on the first floor, off the upper lobby. Our library catalog is online at LibraryThing. Click here to see if we have a book you are looking for. Then again, you might want to simply stop by the library and browse!